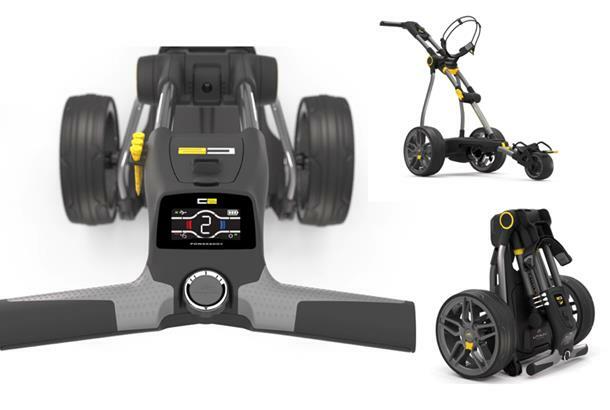 Motocaddy vs PowaKaddy: Looking at buying an electric trolley but keen to keep an eye on saving space? We pitted the two leading compact electric trolleys on the market against each other in a head to head test. It wasn’t that long ago choosing an electric trolley was a relatively simple task. There were only a few serious options on the market and the sole objective of a purchase was to get our bag around the course without carrying. But things have changed dramatically. Today, decisions must be made on everything from remote control to built-in GPS systems, whether to go lead acid or lithium (battery) and of course size, weight and price. And now, a new compact trolley category is taking off. The big benefit of these trolleys is their ability to stand upright in an average car boot alongside a set of clubs. A smaller folded size also means less storage space in the garage, too. 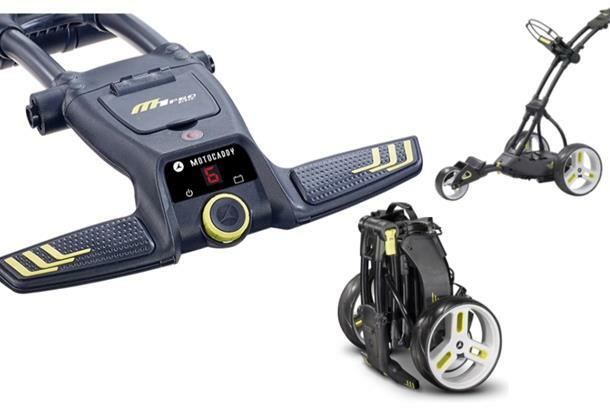 With compact trolleys flourishing, we felt it was time to investigate the choices available from the two dominant brands, Motocaddy and PowaKaddy, and decide which gets our vote. We asked both manufacturers to send us their latest compact models. Each battery was charged, each trolley had to be assembled and lifted in and out of a car boot and each was trialled over a number of rounds, in different conditions. The DHC is the first compact Motocaddy to include an electric braking system. It regulates power so the trolley won’t drag you downhill or lose speed on an incline, while keeping things secure on a slope. There’s adjustable distance controls, an accessory station, adjustable height handle, speed/battery life indicators and a USB charging point. While the M1 is no ugly duckling, sit it alongside the PowaKaddy C2 and it’s not difficult to spot the newer and more desirable design. Its five-step set-up process, with catches and releases to be activated along the way, means the first few set-ups may take a bit of figuring out. Once up, M1 feels very steady and assured. Motocaddy says the DHC (downhill control brake) is only really for undulating courses. If you don’t have DHC you can save £50 and 0.5kg. M1 doesn’t quite stand up straight or lie flat on any side, but wedged against a golf bag it does fit upright in the boot of a Ford Focus (like the PowaKaddy). M1 might not look quite as sleek as the PowaKaddy, but it’s robust and won’t let you down. We’d recommend removing the battery before folding it down. It means you won’t need to reassemble the trolley at home to get the battery out for charging. C2 is PowaKaddy’s first compact model. It has a height-adjustable handle, scorecard holder and storage compartment. An integrated carry handle aids transport and there’s a widescreen display. An automatic distance function lets you set the trolley to go different distances. There’s a battery life indicator and a USB charging point. The design is a bit more refined than the Motocaddy. If you’re not used to one, cast a good eye over the ‘getting started’ section of the manual. Once the C2’s up it’s simple to use with its push on/off and spin speed wheel. Our first round emptied the battery by a third so there’d be plenty of juice to power a GPS system or phone. We reckon C2 is every bit as stable as a standard electric trolley. If there is a gripe it would be the handle section felt looser than the Motocaddy (PowaKaddy insist this is part of the design). The body laid the golf bag at a lower angle than the Motocaddy, which meant one tester’s wedges in the bottom section of the bag rubbed on the trolley’s folding mechanism. The choice between these two is really tight. Your pick will probably come down to looks and budget. 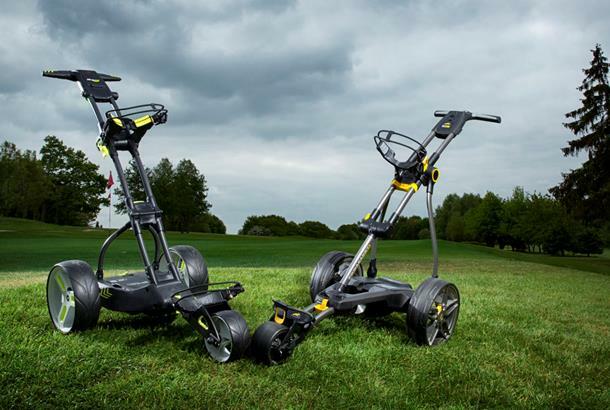 We think the PowaKaddy looks more stylish, but it’s also £100 more expensive than the non-DHC Motocaddy.